Atlanta, Ga. USA. 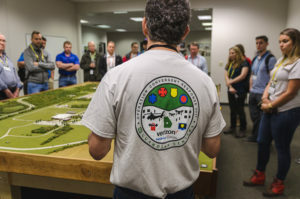 (14th June 2017) — pureLiFi, global tech firm and leaders in LiFi technology that aims to revolutionise the future of wireless networks, has been working alongside, Verizon, Nokia and Aegex Technologies, to demonstrate how LiFi can perform under disaster situations providing communication solutions when it is most critical. 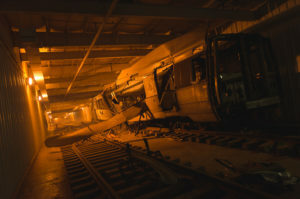 At an event named Operation Convergent Response (OCR), held at the Guardian Centers training facility in the United States, pureLiFi demonstrated their wireless LiFi technology in a subway disaster scenario. LiFi technology was used to maintain, real-time, bi-directional communications that could enable communications with a command centre allowing the emergency services to maintain safe, reliable connectivity during a response. PureLiFi is recognised as the world leader in light fidelity (LiFi) technology. The inventor of LiFi, Prof Harald Haas is the CSO and Co-Founder. LiFi is the use of light instead of radio frequencies for wireless data communication, and unlocks the capacity for unprecedented data and bandwidth. The company was formed in 2012 in Edinburgh, Scotland and currently offers the only true LiFi wireless experience. In 2016, pureLiFi released the world’s first-ever LiFi dongle as well as a LiFi integrated luminaire.